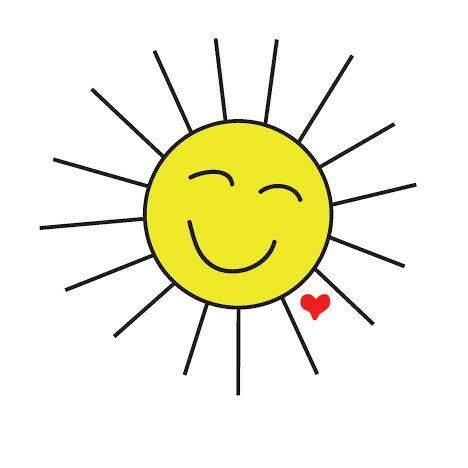 It is summer time and it is hot! 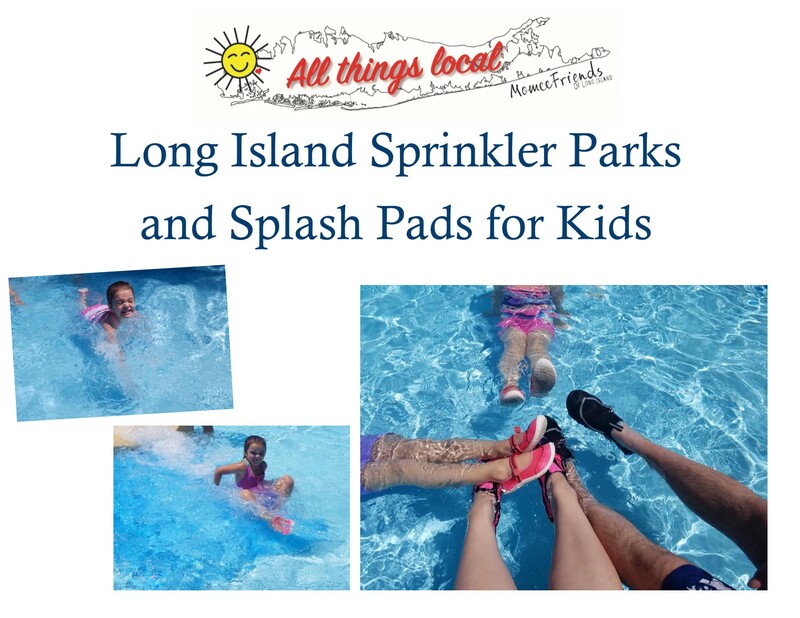 On Long Island we have a great amount of fun places to go, stay cool and have fun. We love our local Sprinkler Parks and Splash pads for kids. Which is your favorite? We asked some of our local Momee Friends which they loved and it seemed Shipwreck Cove in Bay Shore was clearly a family favorite. Tobay Beach in Massapequa was also mentioned a lot, too. The sprinkler area is so much fun with dumping buckets and water cannons. Nonresidents are allowed on weekdays only, not including holidays; parking fee is $50. Blumenfeld Family Park provides an enjoyable time for everyone. The beautiful gardens are maintained with vibrant flowers. The park contains seating areas for parents that overlook the playground equipment. 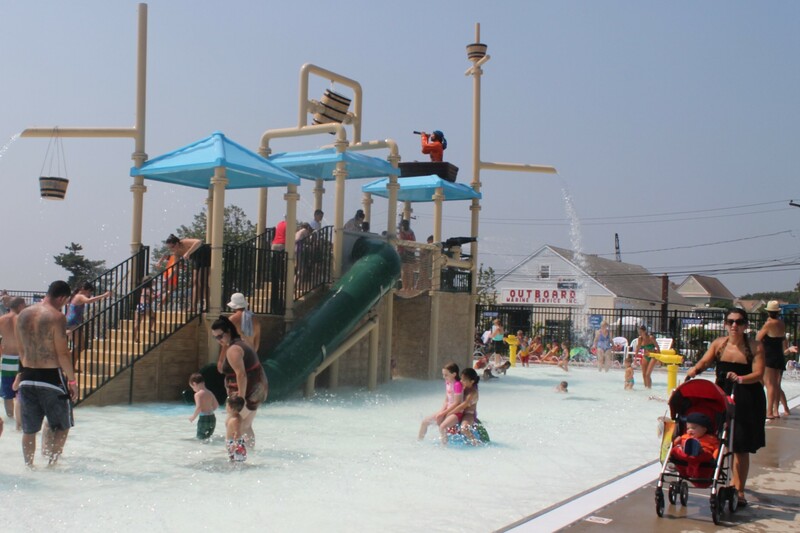 The spray park at the Rockville Centre Recreation Center, is located inside Veterans Park. 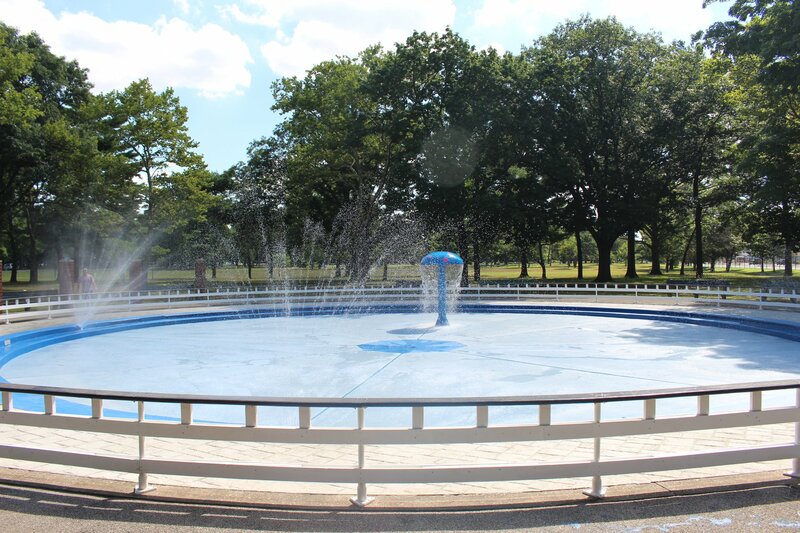 On July 20th, 2018 Nassau County Executive Laura Curran announces the Grand Re-Opening of Eisenhower Park’s Spray Park. The hours are from 10:00 AM- 3:00 PM. Come on down to Field 2 and cool off from the heat. Welcome to the Centereach Pool! We are located right off of Nichols Road in Centereach. This location offers a large pool, a spray park, a big water slide, a play ground, a great concession stand, and lots of picnic tables and lawn chairs. The pool also offers two lap lanes. The facility is well kept and always clean! (including bathrooms). Hours: Mon.-Sun., 10 a.m. – 6 p.m.
Clark Street Playground is nestled in the Canal Neighborhood on Clark Street and the bay. This popular playground features a spray component. A modern playground area is designed with three areas for three separate age groups: pre-schoolers, 4-to-8 year olds and 9-to-12 year olds. There is also a spray-pool area. A swimming complex (fee required) includes an Olympic-sized main pool, a diving pool, a “kiddie” pool, training pool, an interactive water-play area and two water slides (30 foot). The pool complex includes various conveniences, including lockers, showers, a concession stand, and lounge and deck chairs. Fees (daily): resident adult, $9; resident child (4-17 years of age) $6; resident senior, disabled, vol. firefighter, ambulance corps auxiliary police, veterans, $5; non-resident adult, $30, non-resident senior & child, $30. We also enjoy Harbor Front Park in Port Jefferson. “Chandlery Waterfront Playground and Picnic Area was completed at the western end of the park. Here, visitors may enjoy a picnic lunch while children in summer enjoy the cool mist from the frog spray feature.” You can also, sit on the PJ Big Chair and enjoy the harbor by putting your feet in the sand with the view of the harbor. Children will love splashing their way through the four kiddie areas: Elephant Slide, Octopus Pool, Monsoon Lagoon, Yellow Submarine and Pirates Cove. We loved that there was one way in and one way out of these areas and that there was a few lifeguards in each area, as well. VERY SAFE! There is a good amount of lounge chairs and chairs in the kiddie pool areas, too. It makes for a relaxing and comfortable day while your kids have A LOT of fun! Your WHOLE family will love Splish Splash. We hope you make it to the park this 2018 season. You will love the summer memories created here. My girls are all set to go back. We hope you have fun splashing around and keeping cool this summer with your family!